THE MAIDS ROOM is an accomplished and polished work which works so well with the images on screen but also has the ability to stand alone as just music to be listened to savored and enjoyed. Rodriguez is almost lulling the listener into a false sense of security and well being with his richly emotive theme for Drina with its delicate piano solo and plaintive woodwind that are punctuated by harp, the music radiates an even greater warmth as the string section are ushered into the piece but still retains a fragility that is mesmerizing. This central theme is heard throughout the score either fleetingly or in more sustained arrangements and becomes not just the theme that accompanies the films central character but also the foundation of the score. The composer weaves his simple but effective motif for Drina into the fabric of the score and it acts like a musical adhesive that binds the remainder of the soundtrack together. 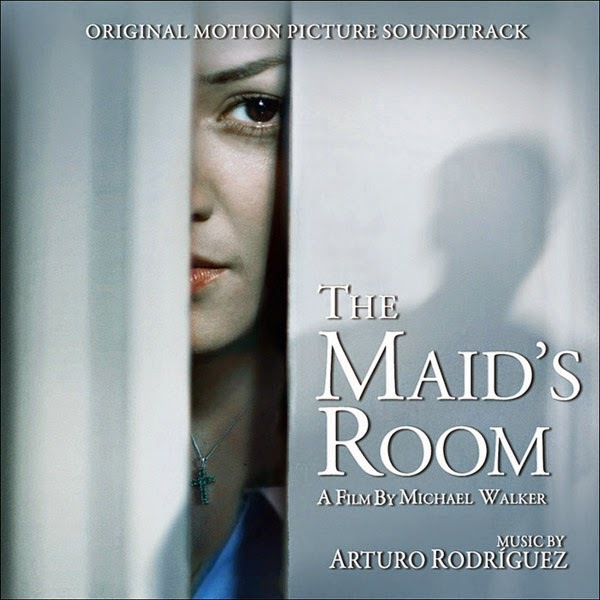 This is the first soundtrack penned by Arturo Rodriguez to be released by Kronos Records, his talent is immense and his gift for melody is outstanding. Watch out for this truly talented Mexican composer. Coinciding with the Theatrical Opening of the film in Los Angeles cinemas this weekend. I am not familiar with composer "Arturo Rodriguez" works, though if this score is any indication of what we could except from his style I would have to say "SIGN ME UP". Manages to give a subtle and sweet score that starts to turn to a much darker side, which I am very much in favor for. I welcome him to my list of composers who I will be watching out for more, for now I suggest you go to Kronos Records and listen to samples.